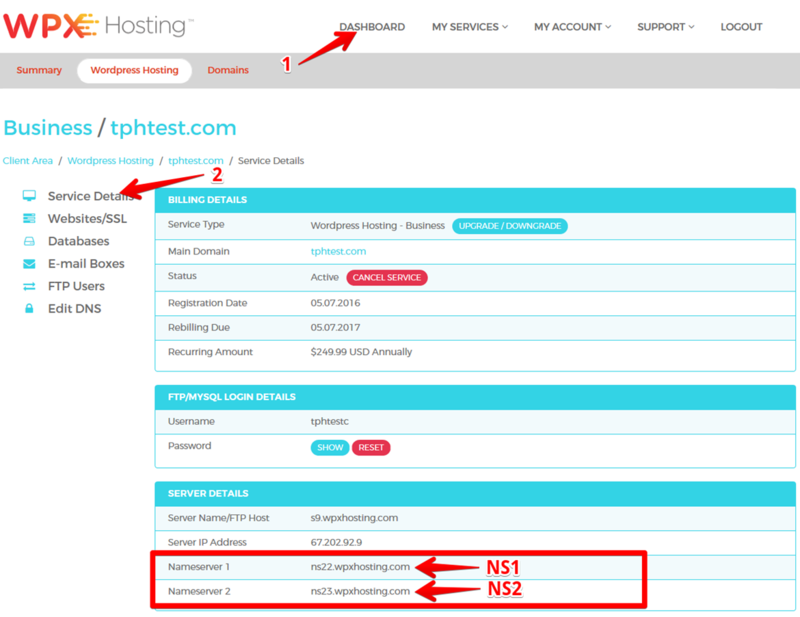 When purchasing both a domain name and a hosting package from WPX, you will also need to set up the nameservers for the domain. Alternatively, you can ask us to do it for you, which we're happy help with! Note: If, however, your domain was purchased from a different domain registrar, this article will not be relevant for you. 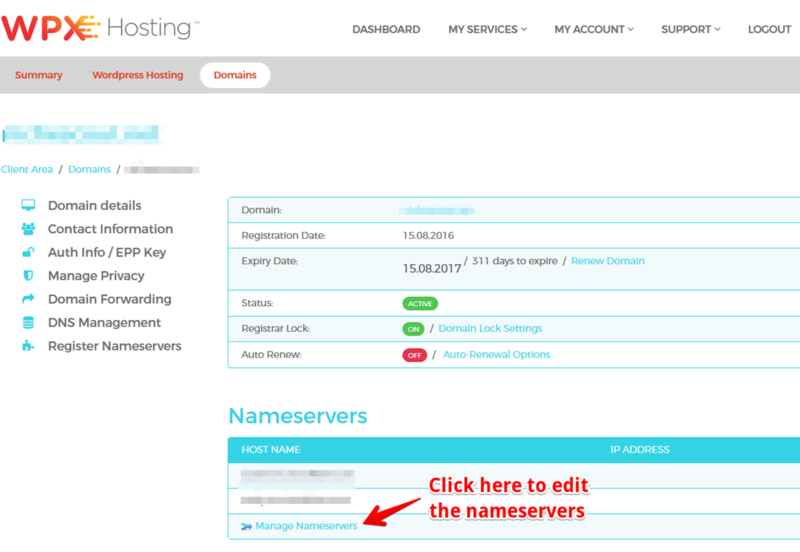 First things first, you will need to find the nameservers for your account. 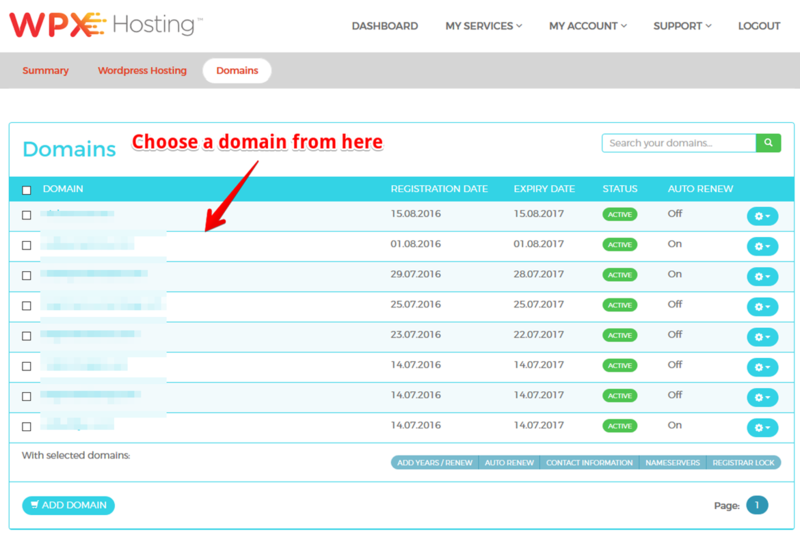 After selecting your domain, you will be taken directly to the Domain Details section. From here, you can now manage that domain and set Nameservers and other records. In addition, you can register your own Nameservers, change the contact information of the domain, turn on/off WHOIS Privacy, and also setup redirects. For now though, we will only be changing the Nameservers of the domain to ours (WPX). That's it! 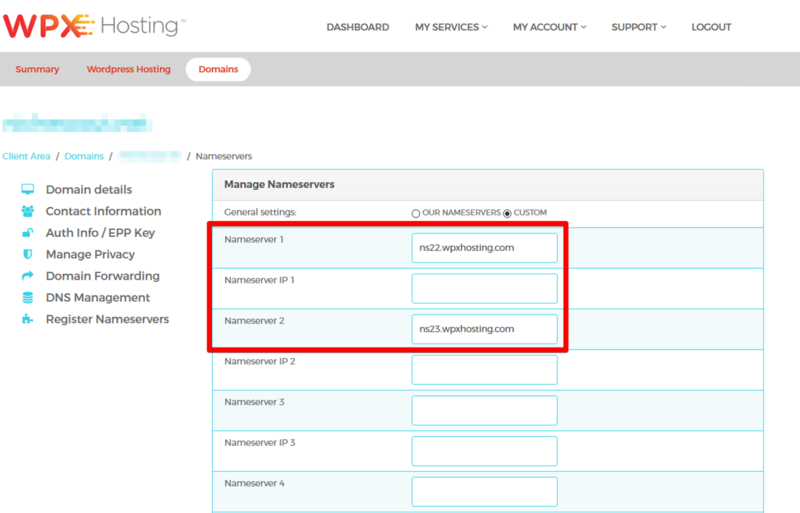 You have now set the Nameservers for your domain and it should start loading shortly! Keep in mind that if there were other nameservers previously set (not pointing to our servers), the time needed for a full DNS propagation can take up to 48 hours. In some rare cases, it can take up to 72 hours. More information on the topic can be found in this article. You can also read more about our WordPress hosting in France (find more here). For information about our hosting in Singapore, click here. Take a quick look at some reviews for our hosting support here. Learn more about the three-step process in fixing Cloudflare's DNS (A)Records (and our WordPress hosting in Brazil, here). Check out our hosting in Netherlands. Read about some killer tactics for speeding up your website. Need to find a great hosting provider? Check this article and make your choice.